Moogfest is an annual festival that celebrates Robert Moog’s great invention and the music people continue to make using synthesizers. For four days in May, Downtown Durham, North Carolina transformed into a showcase for designers and tech companies, conversations led by artists, installations, and performances running throughout the evenings and nights. But it’s not all about the professionals, as we learned from our own experiences at Moogfest. This is truly a festival for everyone, including all who are interested in learning, experimenting, and partying their nights away in Durham! 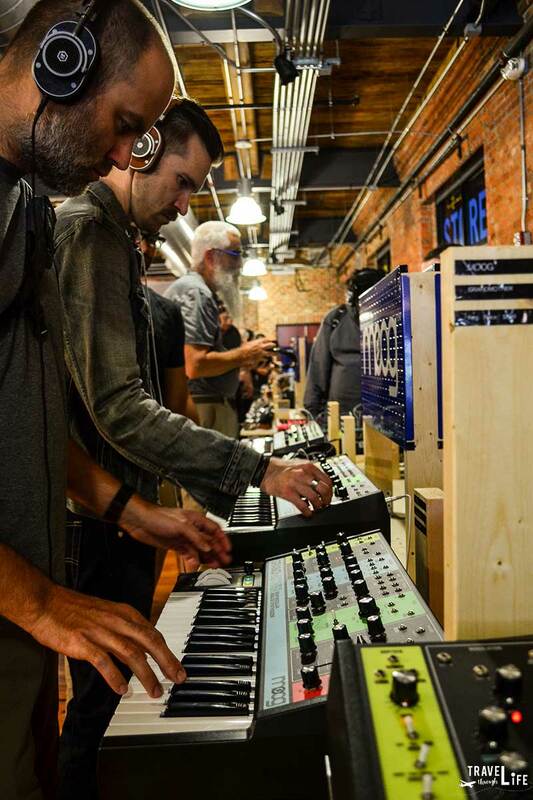 This Moogfest Review originally appeared on our sister site NC Tripping. It is a follow-up from our Preview, which we plan to keep updated as this awesome event continues coming back to Durham. For a festival that merges electronic music, art, and technology, Durham is the perfect setting. Because this city—along with the rest of the Research Triangle—is known by tech companies as a great base, but the Bull City also has deep roots in music and art. In the 1960s and 70s, Durham was filled with local soul and funk groups, with over 40 recording at least 35 singles and three full-length albums. Among the many names that came out of this era, check out the Modulations, Blind Boy Fuller, and the Shamrocks. 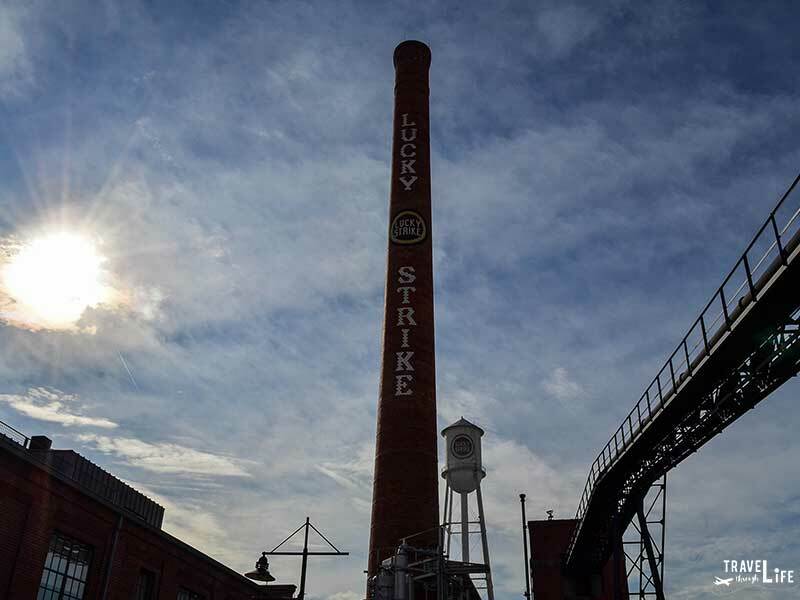 If you haven’t been to Durham, yet, you’ve got to get here! Check out the best prices on places to stay in the Bull City, because this town is at least worth your weekend. The Modular Marketplace is a hands-on showcase where companies come from around the globe to share (and sell) the newest and latest products. You could visit with the intention to buy some gear for your own projects and collection. However, you could just to stop by and test, play, and learn about how these things work. This is truly where professionals and amateurs can spark a dialogue and intermingle. Even better—the Marketplace is FREE and open to the public. Each year, Moogfest brings in speakers to cover a variety of topics. Whether it’s music and technology, art, empowering activism through music, or how technology is evolving and impacting us, there is something for everyone. 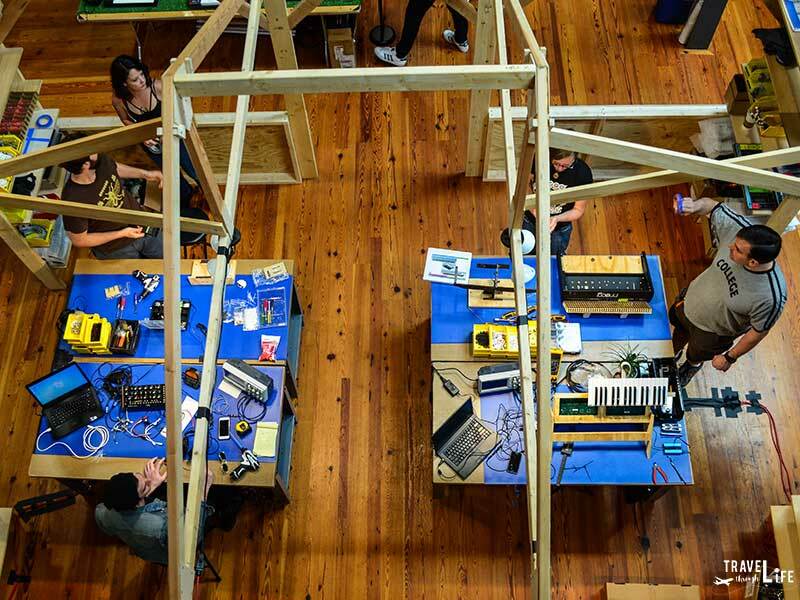 If you’re an artist or someone interested in seeing all that Moogfest has to offer, there are in-depth workshops available through the VIP Engineer Pass. Bonaventure, during the opening party, open to Engineer and VIP Pass holders, and Artists. 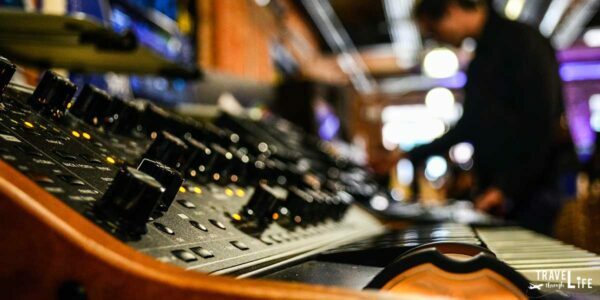 If you’re a newbie like I am, you can attend conversations with artists to learn more about how they came to build their synthesizer, what they create, or their method. Previous conversations have included talks with instrument designers and artists, coding new instruments, and an introduction to audio circuits. Also, there are usually keynotes from high-profile names, with Chelsea Manning stopping by in 2018. Her discussion focused on how creative frontiers will evolve, as privacy laws change. Moogfest isn’t just about listening to others, though there’s a lot to learn. Through the festival’s many workshops, you can do all sorts of things. In 2018, there was an opportunity to combine movement, music, and art with Yoga after Dark. To get a more hands-on look at how a Moog gets made, you could build your own synthesizer. With all these things to do, it was really just a matter of choosing what you wanted to do and then going and doing it. Here’s a look at the most recent Moogfest schedule. 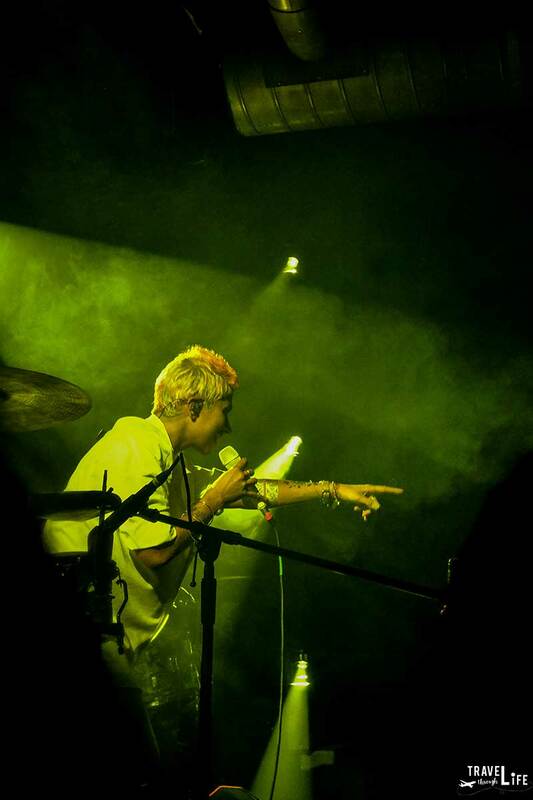 Madame Gandhi at Motorco Music Hall. The performances are the ultimate reason to attend Moogfest. 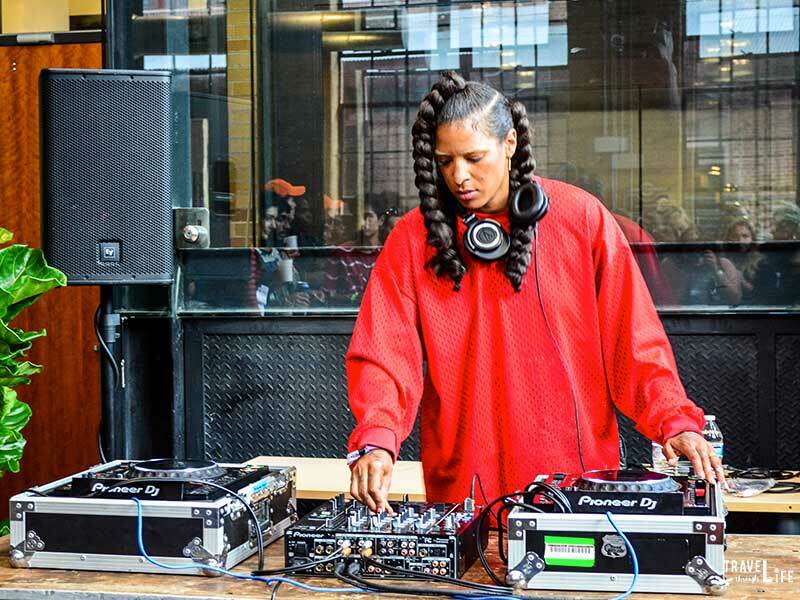 Big names who played at the Moogfest 2018 included KRS-One and Mouse on Mars. 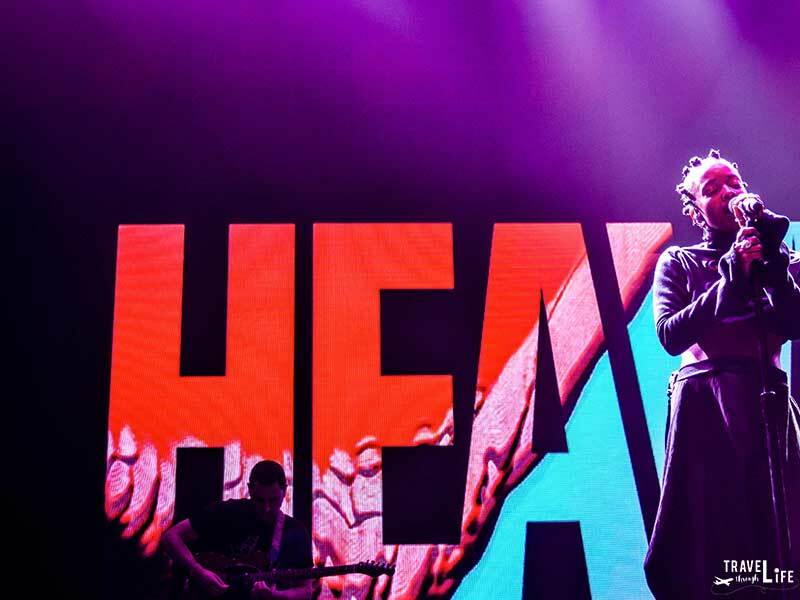 Shows ranged from House, Hip-Hop, EDM, Soul, and Euro-Pop and took place in various venues of all shapes and sizes. You could sit in the balcony of the historic Carolina Theatre, hang out in a church, or rock out at Motorco Music Hall. Come with an open mind and hop around all the venues to experience something different every hour. There are also free performances, so even if you didn’t buy a ticket for the weekend, there are opportunities to experience some of the acts. Jamila Woods, at Carolina Theatre. Some of our favorite shows included Madame Gandhi and Jon Hopkins, but there were quite a few more Moogfest performances worth noting. If you went to Moogfest, who did you enjoy? Any big names from previous incarnations worth sharing? I’m a classically trained pianist who pursued an undergraduate degree in music theory. I came to Moogfest as a complete newbie though, because of my limited experience with music technology. Testing Moog synthesizers reminded me that music and art can come together through experimentation. It can arise simply by forgetting what we already know, and remembering that we can always learn something new. Professionally, there’s a lot more that goes into the production and performance. 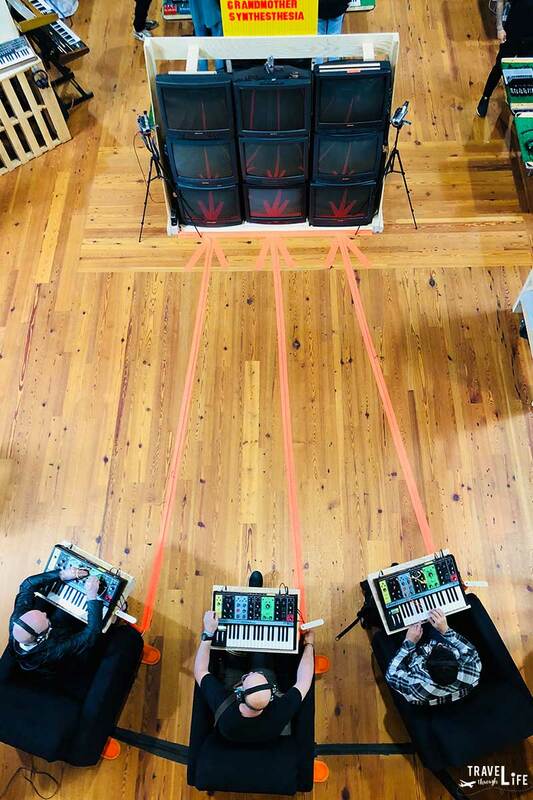 But in it’s simplest form, music happens by saying, “I wonder what would happen if I did that.” And Moogfest reminded me of how there are many different ways we can pose that thought to spark creativity. Let’s get your thoughts on this. What do you think about this unique festival? Is it really for everyone? If you’ve been before, what have been some of your favorite things to do at Moogfest? Interesting! North Carolina is a state with surprisingly great things happening and a generally low cost of living (from what I have heard). We keep it on our list of “possibles” for retirement- natural beauty plus some “big” city amenities! Spot on assessment of our state, Deahh. Thanks for commenting and get in touch if you decide to move here. We love this part of the world!